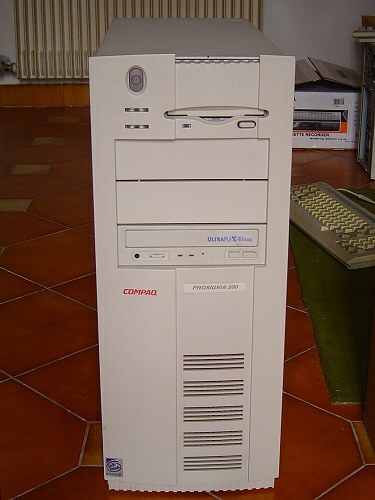 Manufacturer Compaq Computer Corp., U.K.
Acquisition Feb. '03, was in an electronic appliances dump, paid ca. $50 together w. a H.P. 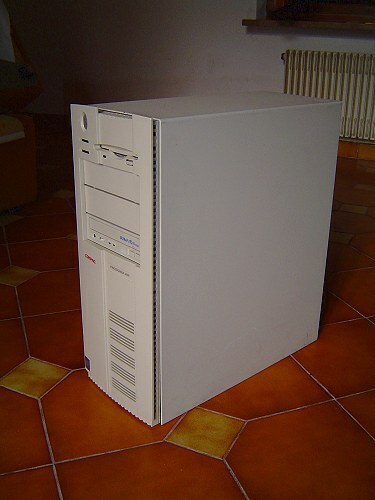 NetServer E45 and several other parts. Condition Dirty, out of service, missing parts. Repairs/modifications Added SCSI ctrl (was missing), CD-ROM drive and 2 x 8 Mb SIMMs (it had 32 Mb). Some parts were later removed. Current status Not working. Power supply failed on June, 2003.